Whether you fish to make profit or fish for pleasure, you need to follow rules and regulations that protect marine life. The Marine Living Resources Act was passed in 1998 to protect natural marine living resources by regulating fishing. The Act also regulates who has access to marine resources to ensure that these resources are fairly distributed. You should get a fishing permit from an office authorised by the national Minister of Agriculture, Forestry and Fisheries. 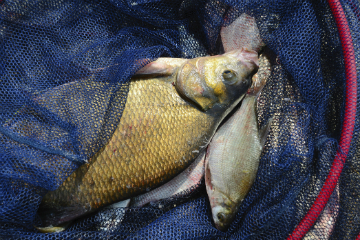 The selling and trading of fish is not permitted. You need to use a rod, reel and line only, and follow the angling regulations when fishing. Your cast net must not be larger than 6 meters in diameter. 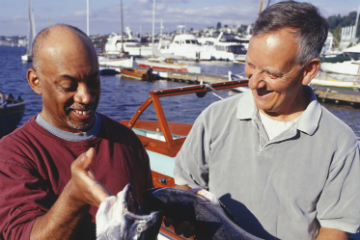 You are allowed to fish from a vessel (like a boat) provided that you are endorsed to fish from a vessel. Remember, there are specific regulations for different types of fishing. 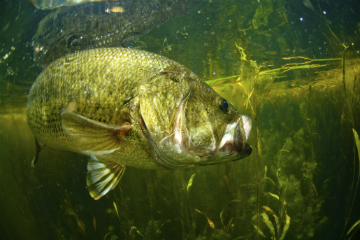 Learn about these regulations before your next fishing trip. CapeNature is responsible for biodiversity conservation in the Western Cape. If you are interested in applying for a permit, here’s what you’ll need to do. Fax your proof or payment and your application form to the nearest office. Your licence will be issued to you immediately at the CapeNature office. Your original licence will be posted to the address indicated on the form. These permits are valid for 12 months from the date of issue. Commercial fishing rights are allocated to full-time line fishers who depend on line fishing for their livelihood. You can only be a commercial fisher if you have received commercial fishing rights. To apply for these rights, you need to review the Government Gazette. These rights are available every few years. The advertisement will provide information about the application process and necessary documents. CapeNature and the DAFF can assist if you need more information about fishing rights and permits. Or view frequently asked questions about fisheries.